Inhaled drugs, also called “inhalants,” refer to a group of substances that people inhale into their lungs for the purposes of getting high. This is often done by young people or those without enough money to purchase more expensive intoxicants. It’s often considered to be an easy way to get high, though it tends to only last for a few minutes. The alarming thing about inhalants is that they’re often completely legal. In fact, they tend to be common household items that can be purchased at any supermarket. Paint thinner, felt-tip markers, lighter fluid, and even the gas in whipped cream cans can be used to get high if inhaled. It can also be one of the most damaging forms of drug use due to the fact that the chemicals in these items are so harsh on the system. Most inhalants produce a depressant effect similar to that of alcohol. Users may experience a feeling of euphoria followed by dizziness, slurred speech, and impaired coordination. With enough abuse, it’s possible to experience more severe symptoms like hallucinations and delusions. It’s possible to form an addiction to these substances, though it’s much less common than with many other drugs, including alcohol. The primary concerns are the health issues, which can develop a lot faster with many inhalants. Nitrites are different from other inhalants in that rather than producing an intoxicating effect, they dilate and relax the blood vessels, which increases sexual pleasure. This class of inhalants is most likely to be used by adults, while the others are more commonly abused by middle and high school students. Around 13 percent of all 8th graders report having used inhalants to get high at least once. Inhaling nitrites is associated with a higher rate of unsafe sexual activity and the contraction of HIV. Inhalants can cause a wide range of serious health effects. The chemicals can damage the liver and kidneys due to the fact that they’re too toxic and concentrated to be effectively processed. Some of the chemicals can damage the protective material around the nerves called the “myelin sheath,” resulting in permanent coordination issues and chronic muscle spasms. Too much inhaling, especially during the process of “huffing” in which chemicals are put into a plastic or paper bag so they can be breathed in more efficiently, can cut off oxygen flow to the brain, resulting in brain damage. Even hearing loss and damage to the bone marrow has been traced back to inhaling these substances. The most immediate health concern involving inhalants is a phenomenon called “sudden sniffing death.” A completely health person can suffer from sudden heart failure and death from a single session of huffing a high concentration of chemicals. Extreme cases of lack of oxygen to the brain can even result in suffocation. Inhaling chemicals to get high may seem like no big deal, but it’s very dangerous. Unfortunately, due to a lack of education, many young people engage in this behavior. Parents should become familiar with the signs of an inhalant high and be sure to intervene if abuse is discovered. There are many substances that are inhaled to induce a high. Some of these are dangerous household products like cleaners, butane, or aerosol sprays; others are illicit drugs, particularly nitrites. Some drugs are smoked or vaporized using specific paraphernalia, and these are sometimes considered inhalants too. Any intoxicating substance can cause serious side effects and long-lasting harm. The term inhalants typically refers to drugs like nitrous oxide (laughing gas) or recreational abuse of solvents, paint, and other fumes from industrial products that are not designed for human consumption. What happens when inhalants reach the lungs? 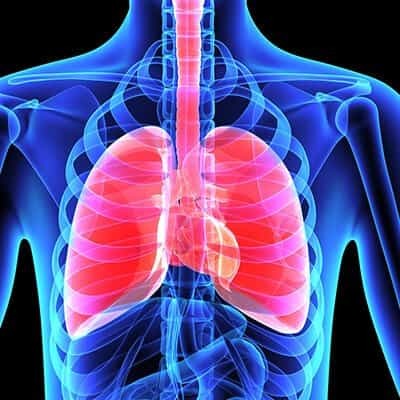 Substances that are inhaled, whether they are drugs or toxic chemicals, replace at least some of the oxygen in the lungs. This starves the brain and other organs in the body of oxygen; the heart pumps faster in order to bring needed oxygen to all parts of the body. The resulting intoxication from inhaling chemicals like paint thinner or markers can lead to a sensation of being drunk or hallucinations or visual distortions, in some instances. Using any amount of inhalants can cause permanent damage to the brain and body, and even lead to death. How long does it take for inhalants to affect brain function? The effect of inhalants is almost instant due to oxygen deprivation. Some drugs that are inhaled, like marijuana or poppers, may take 5-15 minutes to fully affect the brain; this is because these drugs must be absorbed through the bloodstream and taken to the brain. However, drugs taken into the lungs are rapidly sent into the blood; it is one of the fastest methods of delivery for intoxicating substances. The rapid intoxication and fast elimination are more likely to lead to bingeing or addiction than slower delivery methods. Does vaping make tobacco an inhalant? Vaporizer pens, sometimes called vape pens, e-cigarettes, or vapes, are relatively new devices used to inhale drugs. The drugs, whether nicotine or another substance, are mixed with an oil concentrate, or glycerin and water; an inner coil heats up the vapor, which is inhaled, so the drug gets into the lungs and then the bloodstream. These devices became popular as an allegedly safer method to ingest tobacco products than smoking, and some e-cigs even offered drug-free, flavored oils to help people end their smoking habit. Since vaping and smoking are different – vaporizers do not burn the oil, but instead create steam – e-cigarettes and other types of vaporizers position the drugs more like inhalant drugs than smoking does. That being said, tobacco and marijuana are not typically considered inhalants. Vaping still introduces intoxicating substances into the lungs, so in actuality, these methods of use are not likely to be “safer” than smoking. How does a marijuana vaporizer work? Smoking is believed to release chemicals that can cause cancer, so many people who struggle with marijuana abuse or addiction are beginning to use vaporizers to ingest the drug. Cannabinoids combust at 446 degrees Fahrenheit, but they begin to vaporize and release intoxicating chemicals at just 284 degrees Fahrenheit. Using a vaporizer heats marijuana between these two temperatures to release THC and other cannabinoids without burning the drug. Marijuana is still an intoxicating and addictive substance, regardless of how it is ingested. It can cause serious side effects, including psychosis in people who have a predisposition to mental health problems. Poppers are a synthetic club drug in the family of psychoactive drugs called alkyl nitrites. Amyl nitrite is the most common one, although that chemical compound has been made illegal in some states. There are other variations of that drug family that are still legal for purchase. Amyl nitrite was originally designed to treat heart conditions, and it is sometimes still used to treat cyanide poisoning. Poppers are now more widely used as recreational drugs. They are snorted, and they begin to affect the brain within a few seconds to a few minutes. They create a euphoric relaxation and increase social interaction, particularly sexual desire, among most users.